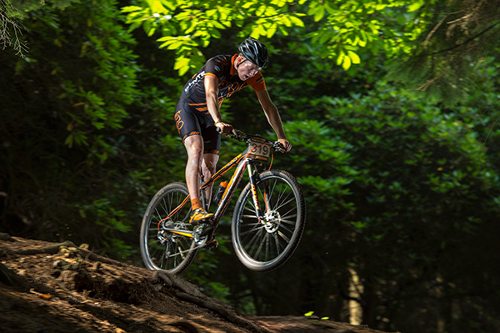 Only a few weeks after Bontrager 24/12 and, as always, falling on the August Bank Holiday weekend, the team headed to Yately, in Surrey, for another big event in the TORQ Performance Mountain Bike Team calendar. 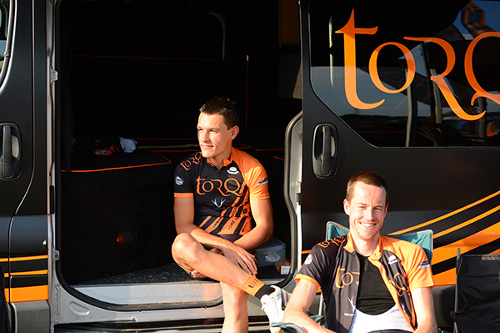 A TORQ title sponsored 12 hour endure, this time in the sun. A few tweaks to the course this year meant that it flowed even better than before, with a few fresh sections cut in to keep things entertaining. The “bridge to nowhere”, which now featured 3 times in the course, had the usual DJ setup with a big sound system and disco lights to provide that little extra bit of mid lap motivation. With the great summer we are having this year, the course was dry and dusty, almost to the point where it needed some rain to damp it all down! With so many fast corners it made for some drifty curves at race speed. 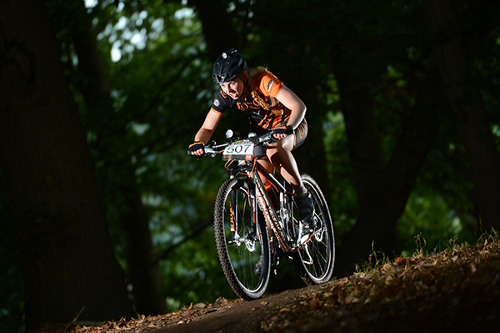 As TORQ Fuelled, professional marathon mountain biker, Sally Bigham, was attending the event to offer some women only coaching sessions on the Saturday, we saw it fit that she be put to work in a team, and so opted to enter her in a mixed team of 4 with TORQ Team riders Chris Andrews, Lee Westwood and Neal Crampton. The only slight problem for the gents on the team was that they were going to have to push pretty hard to ensure they put in faster lap times than Sally! With all of our female riders from the team at the event, we also put in a female team of 4, much like we had a 24/12, with Jessie Roberts, Joanne Clay, Gen Whitson and Ruby Miller. After Ajay’s amazing performance at 24/12 in the 12 hour solo, where he took 2nd place, and with Ben Price being at a loose end having been replaced by Sally, the two paired up for their first ever 12 hour pair. TORQ director, Matt Hart, and TORQ events man, Martin Rendle, also teamed with two Dorset Rough Riders in a TORQ Devo 4 men’s team. Year on year, this event has been growing in popularity and so it was great to see so many riders taking to the start line in 2013. At midday on the Sunday, the race got underway. After a short start lap, the lead quad pulled away and the field wound up the pace to full speed. As a fairly short lap, taking around 40 minutes and on a fairly flat course with few distinguishable climbs, a good lap time here comes from keeping on the gas the whole way round. After working our way through the field, 3 laps into the race, both our elite teams moved into the lead, our pair hot on the heels of 1st place pair Revel Outdoors and our Devo team sitting comfortably in the top 10. 6 laps in saw a few problems for Sally, who had dropped and wrapped her chain around her chain set, losing her about 18 minutes and allowing 2nd place Four4th lights to move into the lead – after a few issues last year, where we lost out on first place to their strong team, we were keen to try and win back the title for the year. As soon as Sally had sorted the bike, she pushed hard to finish the lap and the team really upped their efforts to bring the gap back. For the women’s team, it was business as usual; they were rolling out some fast lap times and increasing their lead on 2nd place. For Ajay and Ben, it was a closer battle than expected with 1st place Revel outdoors, at one point reeling them back in to within 5 minutes; a gap that could easily be closed with a mechanical, so the pressure was kept on. 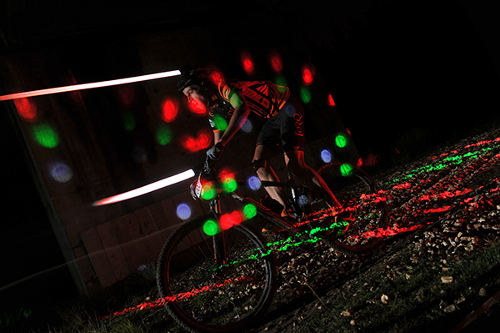 With the long days and short nights, it wasn’t until 8pm that lights started to be switched on – with less riders out on track as night fell, it made for some great riding on course, as sections of descents were left open for full speed runs with very little traffic, and experience from earlier laps making it much easier to pace efforts. As the clock passed midnight and teams completed their final laps, both of our mixed and female teams crossed the line in 1st place; the women a full 3 laps up on 2nd and the mixed team 1 lap up. In the pairs, Ajay and Ben took a solid 2nd place; a great result, considering that Ajay is more accustomed to big mountains than the flat course at 12:12, and that Ben had only flown back to the UK, after racing the Trans Savoie, the day previous. A great ride also by our Devo team who we saw finish in 9th place. Thanks to Joolze Dymond for the photos in this report.